Savvy moms and dads know that sometimes it pays to invest in accommodations within reach of attractions and activities. Seward’s newest hotel, Harbor 360, is a win-win for parents who strive for comfortable beds, good food, and easy striking distance of Alaska’s popular day cruise industry. 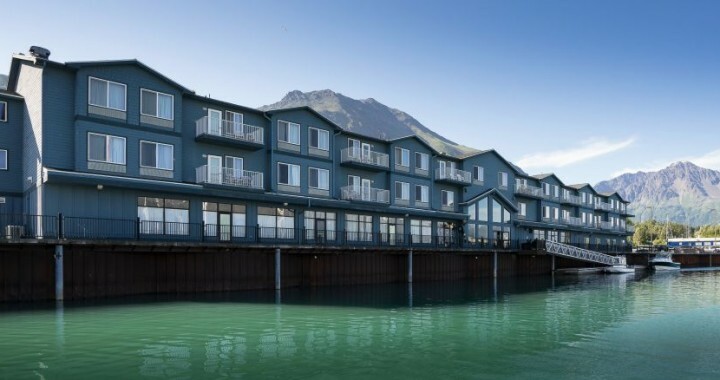 Previously owned by the Holiday Inn Express chain, Harbor 360 Hotel is now under the careful guidance of Major Marine Tours, a powerhouse of stellar customer service in Seward. Known for their excellent day cruises, the Major Marine ownership move was, in our opinion, a good one. Harbor 360 Hotel sits directly on the Seward Small Boat Harbor. Image courtesy Major Marine. Located directly on Seward’s Small Boat Harbor, the hotel offers either Standard (mountain view), or Harbor (water side) rooms. Both, it must be said, are lovely, but the water side does provide a bit more busy-ness for those intrigued by the comings and goings of hundreds of boats calling Seward home port. Sometimes otters float around the docks, and it’s always a busy place during the summer months. Harbor rooms are approximately $20 more than Standard rooms, but are worth the extra cost. Guests can choose two queens or one king bed, with a bathtub, wifi, television, coffeemaker, and refrigerator available. Cribs and rollaway beds are available at a rate of $10/day, and are easily configured in the spacious, bright rooms. Hint: Ask for a room on the top floor for maximum views of Seward and the Kenai Mountains, although, really, there are no bad ones, here. It’s not called the 360 for nothing, you know. Every parent knows a hotel’s rating goes up with the mention of a swimming pool, and Harbor 360 is no different. 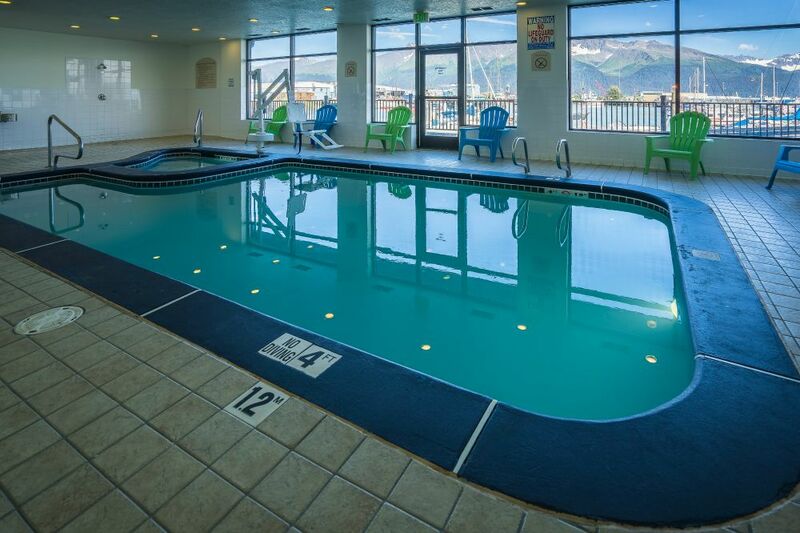 Small but clean, this is the only hotel pool beyond Alyeska Resort in Girdwood, two hours away. A small hot tub is snuggled next to the pool, and on a rainy or snowy day, the perfect place to relax. A cozy lobby area features a fireplace, couches, work center, and large breakfast room where guests can hang out any time of day. Breakfast is complimentary, and large, with pancakes, eggs, sausage, toast, and all manner of hot and cold beverages. Watch the sun come up over the mountains as you sip your coffee, and feel the unhurried pace for which Seward is known. Planning a day cruise during the summer? This is the place to be, with immediate boarding access right from the lobby to your boat. Boom. No lines, no hassle, no worrying about parking. Just board and be gone, for a few hours or all day. Major Marine is already rolling out spring and summer specials for 2016 guests, like the Spring Fever Package, only $119/pp, including a four-hour gray whale cruise and overnight stay. Available April 18-May 15, I’m ready to book right now. Want to delve deeper into Kenai Fjords National Park? Try the 7.5-hour National Park cruise June 4-August 21 for only $99/adult guests. This price is slashed almost in half for guests of Harbor 360, so hurry and make plans for those visiting friends and family. 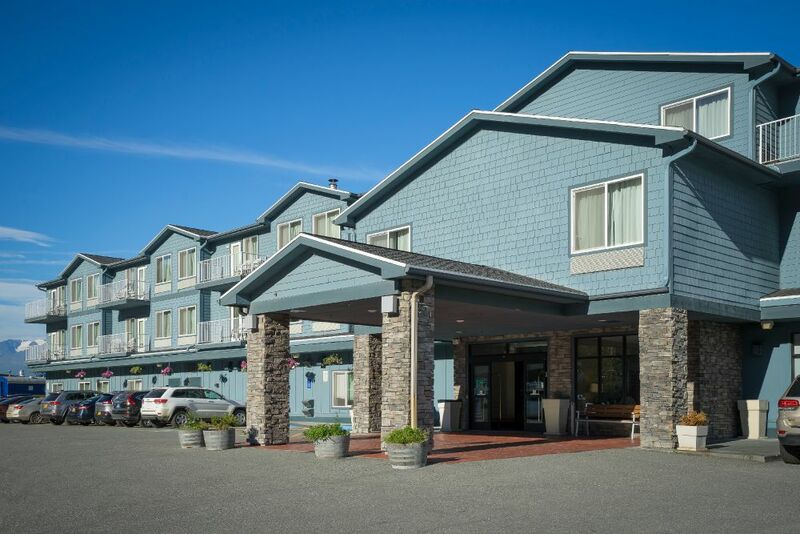 The hotel also offers a complimentary, seasonal shuttle to the Alaska SeaLife Center, and provides an activities consultant to assist guests with planning their Kenai Peninsula adventures. Seward is becoming a popular destination for Alaskans during the winter, and a stay at Harbor 360 offers access to dog sledding day trips, cross-country skiing, fat-tire biking, kayaking, and snowshoeing. Exit Glacier Road is open for winter recreation enthusiasts, and Caines Head State Park is a fabulous beach location to play. 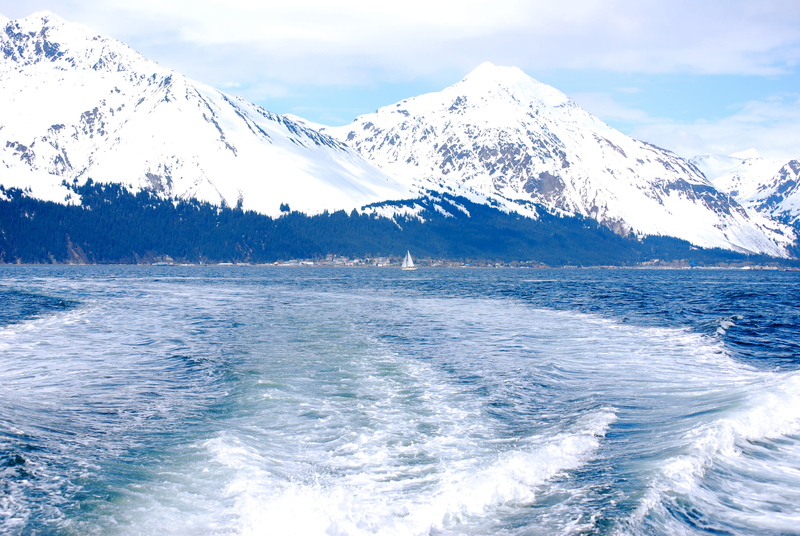 An easy 2.5 hours from Anchorage, even in the winter, Seward beckons this holiday season. You’ve got two weeks of school vacation. Why not try a mini-getaway with the kids? Reservations and information can be access by calling 888-514-8687, or via the reservations page on the Harbor 360 website. Posted in Hotels, Kenai Peninsula and tagged Alaska, day cruise, Family Travel, Major Marine, Seward. This is a nice get away for summer. With immediate boarding access right from the lobby to your boat? What could be more amazing than that. No lines, no hassle, no worrying about parking. Just board and be gone…this what I love the most. This is fantastic. It’s really going to be a boon for those who choose to stay at the hotel. Thanks for reading!